t*rexes and tiaras: Friday Favourites 150.. It's all about the shoes this week. I have been absolutely loving the sunny weather we've had this week, although so many people have made me feel as though I'm the only one not trying to hide from the sun. Summer is definitely my favourite season. 001: These are the summer sandals I'm rather wishing for at present. I've thrown out two pairs of summer shoes this week as they were just falling apart and I've also sent a few more pairs off to their new homes after adding them to my last clothes sale. 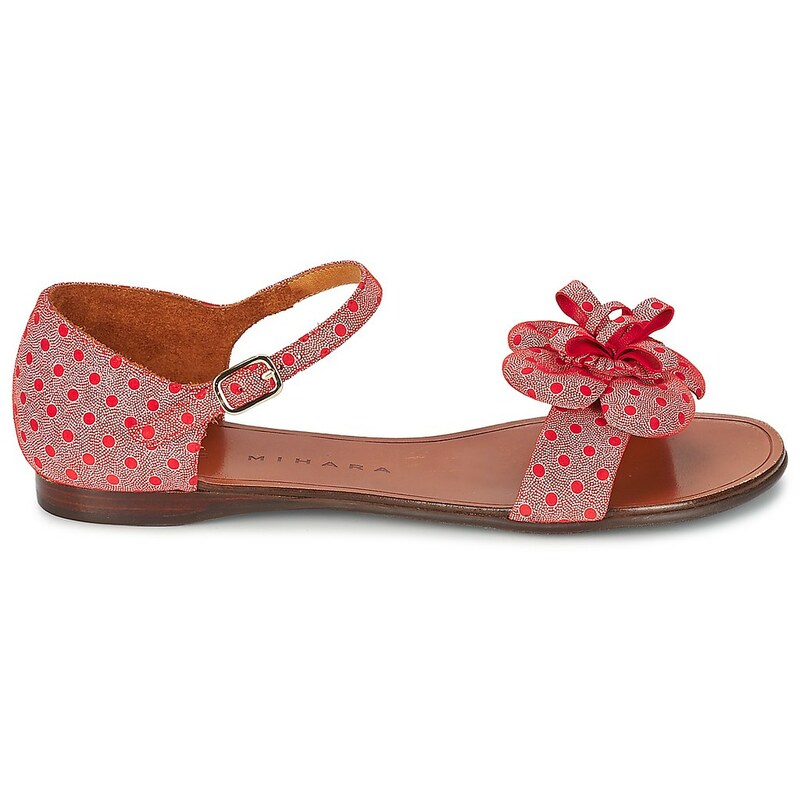 I love the polka dots and most of all the flower on the front of these Chie Mihara sandals, and it pleases me that they have an ankle strap, as I prefer sandals which I know are going to stay on my feet when playing an impromptu game of rounders at guides or something. 002: These ASOS sandals are just incredible. I'm nothing if not predictable - Sarah spotted these as she was browsing the ASOS site last weekend and told me I'd like them. And I *really* do. My main issue with high sandals like this is that they usually have open toes, which I hate (my toes are horrid and just detract from the effect of the shoes, in my mind anyway), but not this pair. They have instead a lovely round front and I love the design with the mesh insets. What do you think? Have you been enjoying the sun this week? And what are you wishing for? The ASOS ones are lovely, I have a love / hate relationship with peep and open toe shoes. I'm loving the sun, it makes me happy and wish for nothing more than more sun and Mr Freeze ice pops!